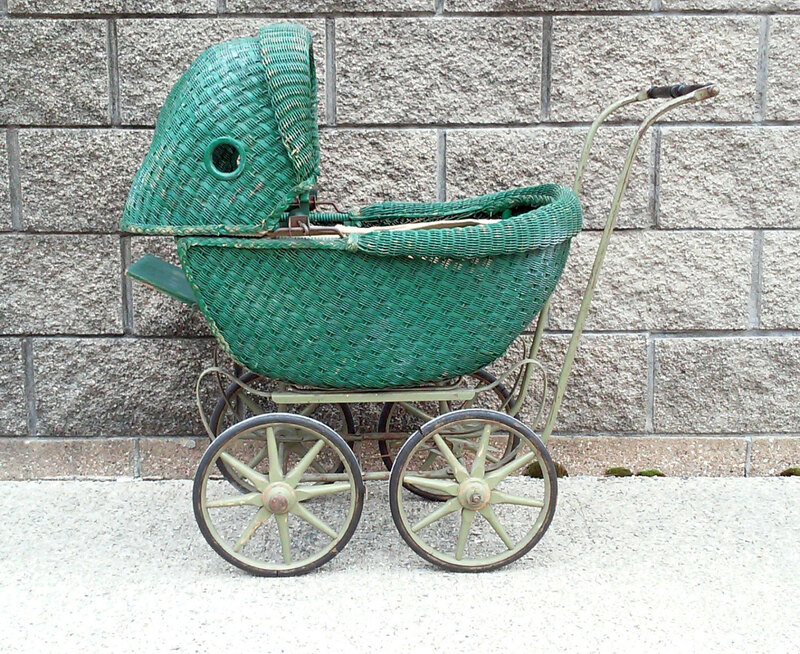 Vintage Lloyd Loom wicker baby doll buggy in green with hard rubber wheels and black painted wooden handle. 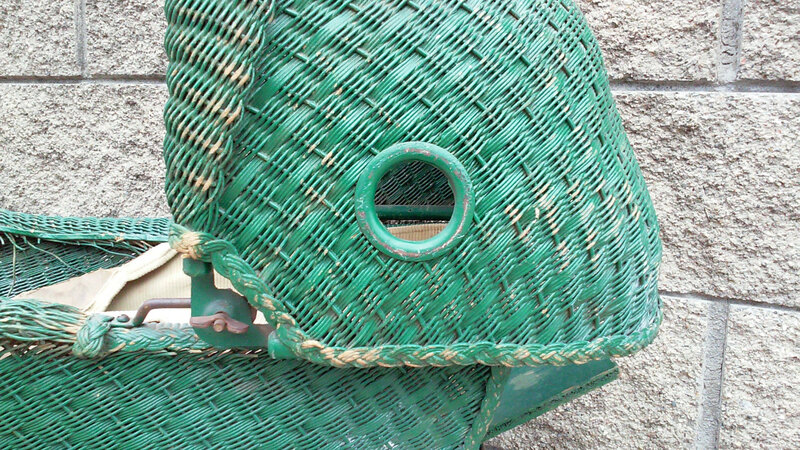 This antique style wicker buggy has two porthole style windows on the hood which rotates from front to back. 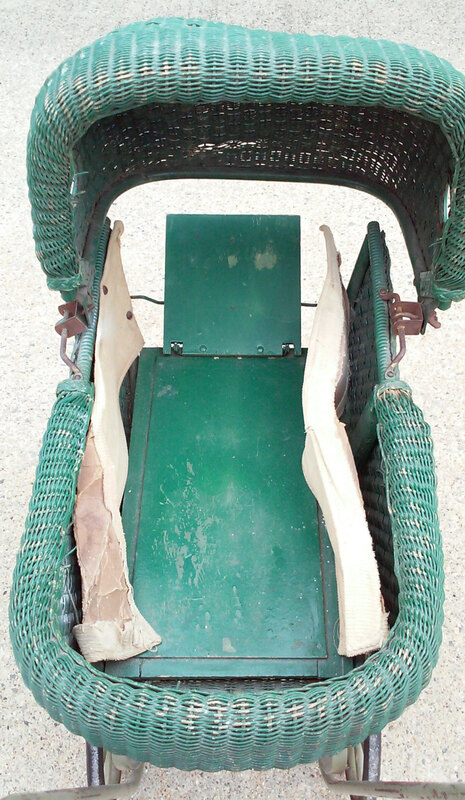 The inside of the baby buggy has a raised wooden head rest and the remnant of fabric side panels. 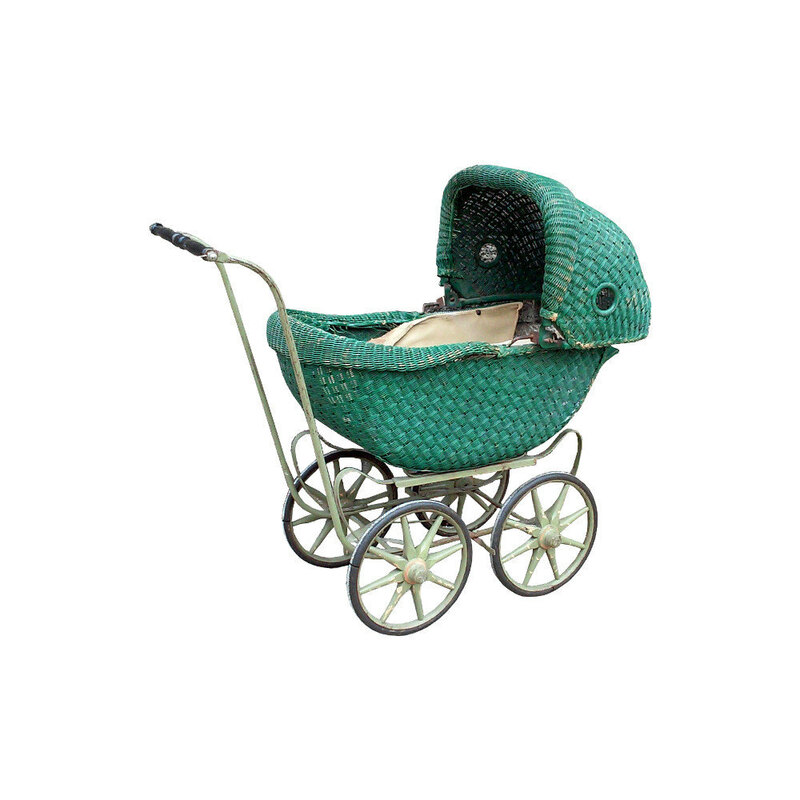 This buggy is completely adorable for a little girl to push her baby doll around your country estate, for nursery decor, a doll collector display or for a garden or sun room for display of silk plants. 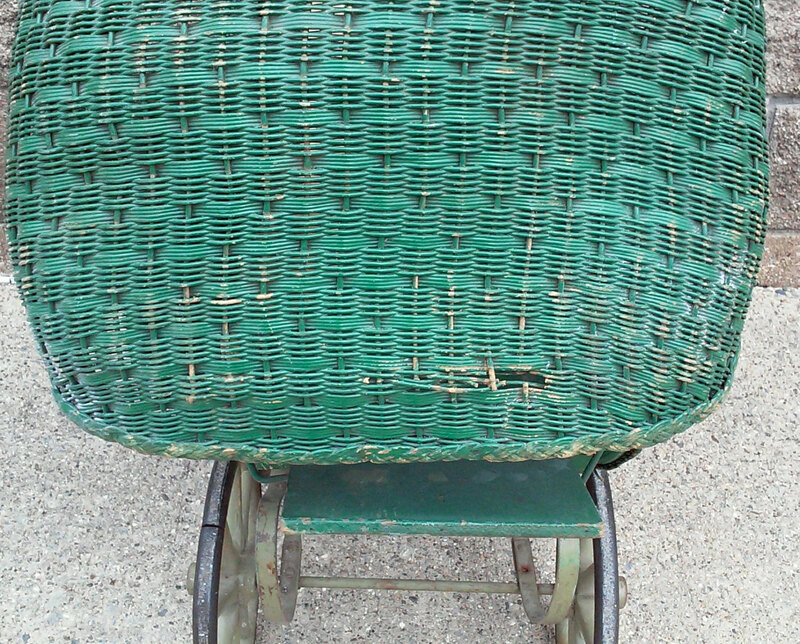 The wicker buggy is in very good vintage condition with the wicker being mostly intact except for a small section on the back of the hood that has a couple strands missing. 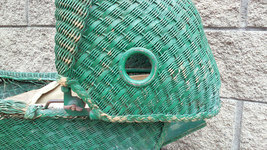 The buggy lining is not present except two side panels which need replaced. The buggy is easily re-lined with your desired fabric to match your decor easily sewn by a novice seamstress. 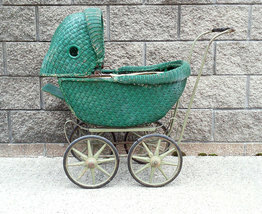 This antique Victorian style buggy would also be great for a movie prop set design for a period movie. The buggy ships freight via Plycon Van Lines. 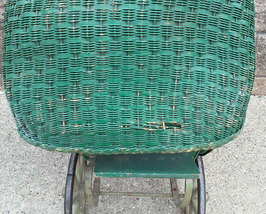 Overall dimensions-36"L x 33"H x 17"W; inside dimensions about 11.5"W x 23"L. No makers mark, attributed to Lloyd Loom wicker. Shipping quote is freight via Plycon VanLines. For a more economical shipping method which will be 100 or less depending on destination you can request a quote for Greyhound Package Express shipping which goes to the bus station nearest to you and you must pick up yourself from that station. 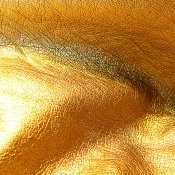 Email for a Greyhound Shipping quote to be added to the listing.